Education has always been an important part of our life and it defines the direction in which we lead our life on. In earlier times, people went to Gurukul’s and Madarsa's to get education. Then British introduced modern schools and colleges which are still a traditional system to get educated. Sometimes, we cannot get the type of higher education we always wanted to. For example, a particular course is not available on local college and you don’t want to relocate to another city for higher study. That’s where distance education steps in. 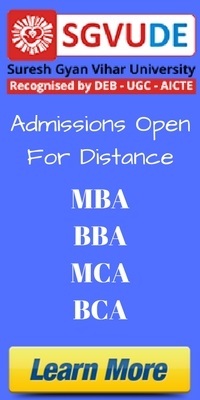 Distance learning courses open ways to get excellent education even in far corners of India. So, you can stay in your hometown and get advance education as per your interest. 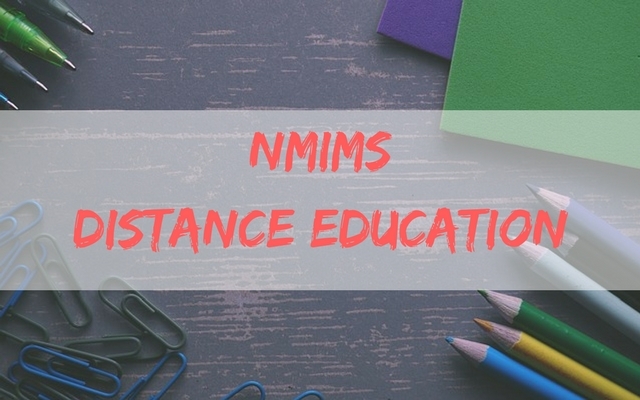 NMIMS Global Access School for Continuing Education (NGA-SCE) is one such in​stitution that offer distance learning programs for working professionals and fresh graduates. India has seen surge in distance course institutions in recent times but all of them are not necessarily good. NMIMS is one of the best university which is providing education from 30 years. NMIMS has its own distance learning institute named NGA -SCE (Global Access School for Continuing Education) which is one of the nine schools of university. NGA-SCE is recognized by UGC and DEB. It is one of the fastest growing learning institutes in the country. NGA-SCE offers different PG Diploma(Duration 2 years), Diploma(Duration 1 year) and Certificate programs(Duration 6 months) in management. These courses are designed keeping in mind the requirement of distance learning and its curriculum is based on the most relevant and industry updated information. NGA-SCE also partner with corporates for their distance learning program with Indigo Airlines, Genpact, American Express, Vodafone, Cipla, Emerson Network Power (I) Ltd., Bajaj Finserv, Jet Airways, Eureka Forbes, IBM, Metro, Accenture amongst others. NGA-SCE provide technology backed academic delivery of courses and systematic student support which ensures students to get the best possible outcome of their learning process. Its student learning material is developed by some of the leading publishers around the world. Academic Support – NGA-SCE offers a range of Academic resources to support learners which include blogs, study plans, online lectures etc. It also has a team of 200 highly qualified academicians and industry professional faculty members to support students. Assessment System – NGA-SCE has a robust Evaluation Engine for Online Assignments and Examinations which allows participants pace their exams. These computers based exams conducted at designated centers across India. Assessments are carefully constructed to encouraging participants to apply their learning to real-world situations. Learning Resources – NGA-SCE provides over 800 hours of downloadable Online Lectures. It also has a web portal, which works as student zone and forms the center of learning with facilities like online two-way interactions, eBooks, videos, etc. It has powerful Online Query Resolution process for students to connect with the faculty and get their doubts clarified. University also provides access to a Digital Library which has journals (EBSCO, ProQuest, JSTOR); EBooks database (McGraw-Hill, Pearson) and Research database (CRISIL, ISI Emerging Markets, CMIE: Economic Outlook). Additionally, it has dedicated call center for any query resolution. Students can contact it by call, chat or email. NMIMS gives you three options to pay fee for the distance learning courses. The Fee Structure of its courses is listed below. Every course has one time payable INR 1200/- Admission process fee. You can pay online or via Demand Draft which should be made in favor of “SVKM’s NMIMS” payable at Mumbai. In addition, Students need to pay the examination fee of Rs 500/- per subject for the first attempt; Rs. 600/- for subsequent attempts and PCP fee of Rs 250/- per subject. EMI Facility (3, 6, 9, 12 months) is available via credit cards of the following banks: HDFC Bank, ICICI Bank, Axis Bank, Citi Bank, Standard Chartered Bank, HSBC Bank, SBI, Kotak Mahindra Bank. NMIMS Admission procedure is very simple. It is a three steps process. Register Online and pay INR 1000/- admission fee. The counselor at the Authorized Enrollment Partner will verify the documents and upload the same on the system. Pay your course fee online or via Demand Draft. Here are some awards that NMIMS has won for their distance learning courses. 1st amongst top distance learning institute by competition success review 2014. 1st amongst top distance learning institute by competition success review 2013. 2nd by Zee Business 2012. 5th by DNA – Indus Learning Survey 2012.